The Realme 3 Pro is scheduled to launch on April 22 in India. 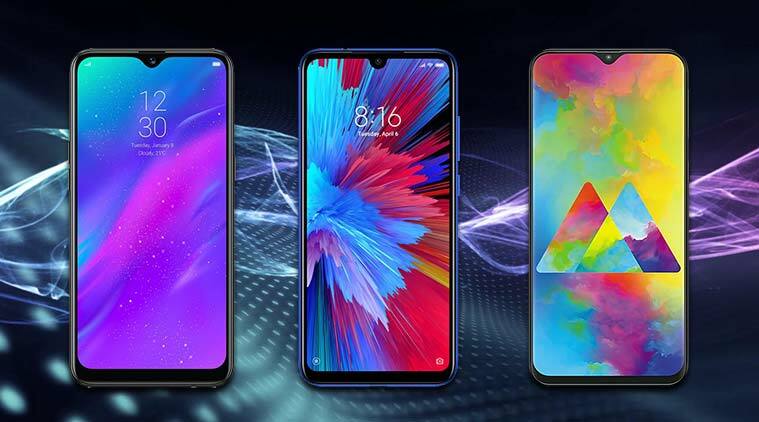 The company aims to compete with the recently launched Redmi Note 7 Pro as it indicated at the launch event of the Realme 3. Madhav Sheth, the Realme CEO, has been tweeting the camera samples of the upcoming device which showcase the HDR capability of the rear camera and also the night mode, which is also present in the Realme 3. New Delhi: The Indian smartphone market has been flooded with new phone launches by almost every smartphone manufacturer including Xiaomi, Huawei, Samsung, Oppo and Vivo. In the budget and mid-range segment, the competition is tenser than ever. We are listing three phones which are scheduled to launch in India soon. According to a leak, the phone is expected to feature Qualcomm Snapdragon 710 processor, VOOC 3.0 fast charging capability, and a Sony IMX519 camera that is being used in the OnePlus 6T. The report claims that the device will be available in three storage variants– 4GB RAM + 32GB storage, 4GB RAM + 64GB storage, 6GB RAM + 64GB storage. It also mentions three unspecified colour options. Xiaomi has announced that it will launch a Redmi Y smartphone with the 32MP selfie camera on April 24, 2019. Although not mentioned as Redmi Y3, the upcoming Y- series smartphone is expected to be the successor of the Redmi Y2, that came with a 16MP selfie camera. The company has been sharing teasers of the phone on its official Twitter handle, which claim that the phone will have a better design, brighter display and bigger battery. The design of the phone is expected to be more or less similar to the Redmi Note 7 with a dot notch display (also teased in the media invite). The expected rear camera on the phone is a 12MP + 2MP setup. The fourth device in Samsung’s Galaxy M-series is likely to launch soon. While the company has not revealed any details about the device or its launch date, the phone has been spotted on the Wi-Fi Alliance database by GSMArena. Carrying the model number SM-M405F/DS, the upcoming Galaxy M-series smartphone passed the Wi-Fi certification. The DS on the listing stands for Dual SIM and the software version mentioned on the database is Android 9 Pie. The Galaxy M40 is expected to feature specifications Super AMOLED display, an in-house octa-core processor (Exynos 7904 or higher) paired with a 5,000 mAh battery. The Galaxy M10 came with a single rear camera, the Galaxy M20 came with dual rear cameras and the Galaxy M30 came with triple rear cameras. It is unlikely that the Galaxy M40 will feature four cameras, however, Samsung may upgrade the secondary and tertiary rear cameras on the phone. "Blood of martyrs shall enlighten oppressed people’s salvation path"